Buy Google Play Card Key 15 Dollar for Google play on GGlitch.com | Fast, secure and easy! Add funds easily to your google play wallet with these convenient gift cards! Something for everyone. 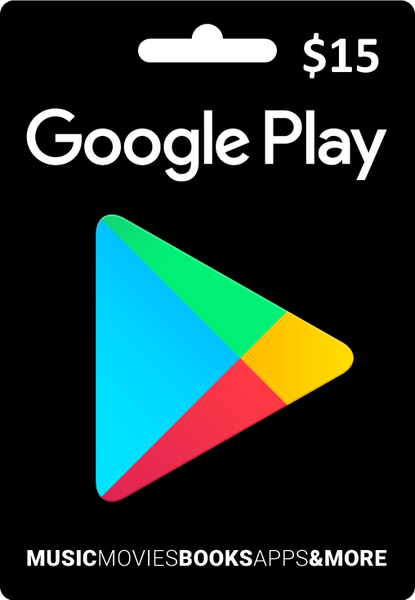 Google Play has the music, movies, TV shows, books, magazines, and Android apps and games you love. You can even give a Google Play Music subscription for unlimited access to millions of songs. For screens of all sizes. Google Play makes your content accessible across devices of all sizes, whether you’re on Android, iOS, Chromecast, or the web. Ready when you are. Google Play gifts can be redeemed in seconds, with no credit card required.